Dolphins come under the category of most adorable mammals. Now they are not confined to the oceans. You can hug them, kiss them, ride them and swim with them in Dubai.This is surely going to be the time of your life as an experience and you will have the best of your pictures here with the cute innocent creatures. It is like no other experience you previously had. Dubai has two places that offer the chance for visitors. One is the Dubai Dolphinarium while the other is the Atlantis in The Palm. Our step by step guide evaluates both of them. Mixed sessions: a mixed session of maximum 6 person is allowed into the 14 feet deep dolphin pool. It costs 550 AED per person. You get a complementary large photo. Private sessions: You can also book private sessions for 2100 AED. However the maximum people are three here.You get two large complementary photos in this package. Children under twelve should have a paying adult with them. The whole session is for forty five minutes during which you change dress, shower and than play with the dolphins. Marine educators are present to share facts and experience with you about the lovely animals.The place also has a restaurant and gift shop. 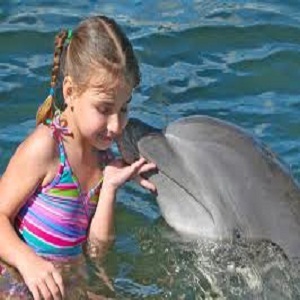 - Dolphin encounter: You can touch, hug and play with the dolphin. It is open for all ages and you cans pend 30 minutes in the water. There are ten guests per dolphin. You do not need to be a swimmer for this. 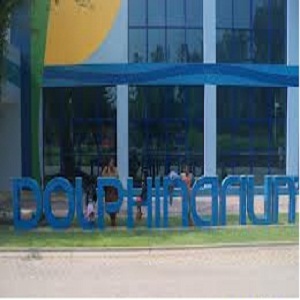 - Dolphin adventure: You swim with the dolphin here. Guest age is restricted to above eight here and there are six guests per dolphin. - Scuba dive: Guests above 12 who are certified scuba divers get to have the time of their life with the dolphins. - Dolphin photo fun: With no age rrestriction and no swimming costume, you can touch, hug and take pictures with a dolphin on the beach edge. - Observer: For those who just love to watch the animals and see others play, observer seats are available with complementary drinks. - Personalized sessions are also available.